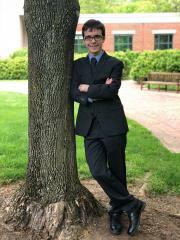 Kevin Baker is a second year who loves talking about mock trial all the time, except when he's forced to do so for his bio. He did mock trial for all four years of high school, but the farthest he went for it was the local county courthouse, so he's feeling like one of the cast members of Breaking Amish at the moment. When Kevin's not mocking, you can find him obsessing over the Emmys and Oscars (it's a problem) or trying to read all of the works of Kurt Vonnegut before he graduates (it's possible!). View Kevin's career individual awards by clicking here.